A couple months back, a group of mayors from across the world made a splash by pledging to only buy all-electric buses starting in 2025. But a story this week from Reuters points out how far the U.S. in particular has to go to electrify public buses: only 300 out of more than 65,000 public buses on the road today are electric, the news agency reports. There’s numerous reasons that explain why, but mainly, cities just don’t want to be a guinea pig when it comes to the cleaner technology. Among the challenges: EVs are expensive, have limited range and are unproven on a mass scale. A typical 40-foot electric bus costs around $750,000, compared with about $435,000 for a diesel bus. Cheaper fuel and maintenance expenses can lower the overall costs over the 12-year life of the vehicles. But those costs can widely depending on utility rates, terrain and weather. In theory, it makes sense for electric buses to be adopted; powering a vehicle with electricity costs less than using diesel or natural gas, as Vox points out, but the capital costs up front are a lot higher. An electric bus tested last year near Phoenix wilted in the summer heat due to the strains of running the air conditioning. 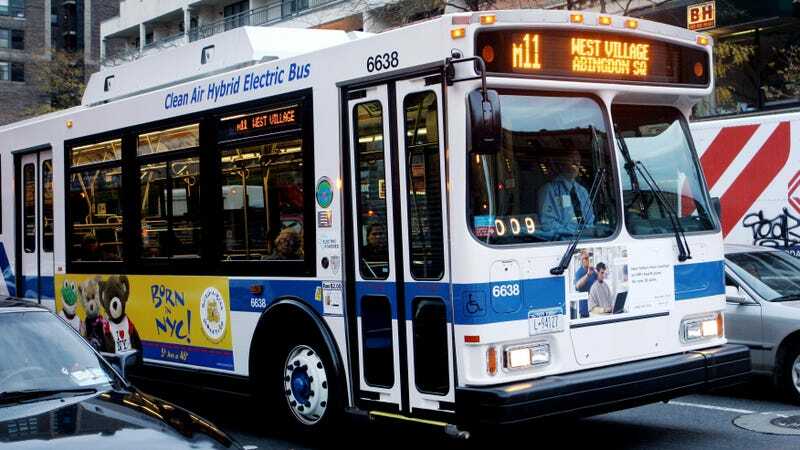 The vehicle never achieved more than 89.9 miles on a charge, less than two-thirds of its advertised range, according to a report by the Valley Metro Regional Public Transportation Authority. In Massachusetts, two agencies running small numbers of electric buses - the Pioneer Valley Transit Authority in Springfield and Worcester’s Regional Transit Authority - say the vehicles weaken in extreme cold and snow. They have no plans to acquire additional EVs, officials at those agencies said. Some cities are taking steps forward—Indianapolis’ bus system just struck a deal for 31 electric buses, Reuters reports. And one bus maker, Proterra, says their models can handle up to 350 miles of range now—a more palatable amount for buses that are on the road throughout the day.